This is the designated neighbourhood zone for Ormond Primary School in Melbourne, Victoria. Please note the eastern part of the school zone is overlapped with Mckinnon and Valkstone Primary School. You can search for a particular school or address in the search box in the top right-hand corner of the embedded map or zoom into an area of interest on the map. This is the designated neighbourhood zone for Glen Huntly Primary School in Melbourne, Victoria. You can search for a particular school or address in the search box in the top right-hand corner of the embedded map or zoom into an area of interest on the map. 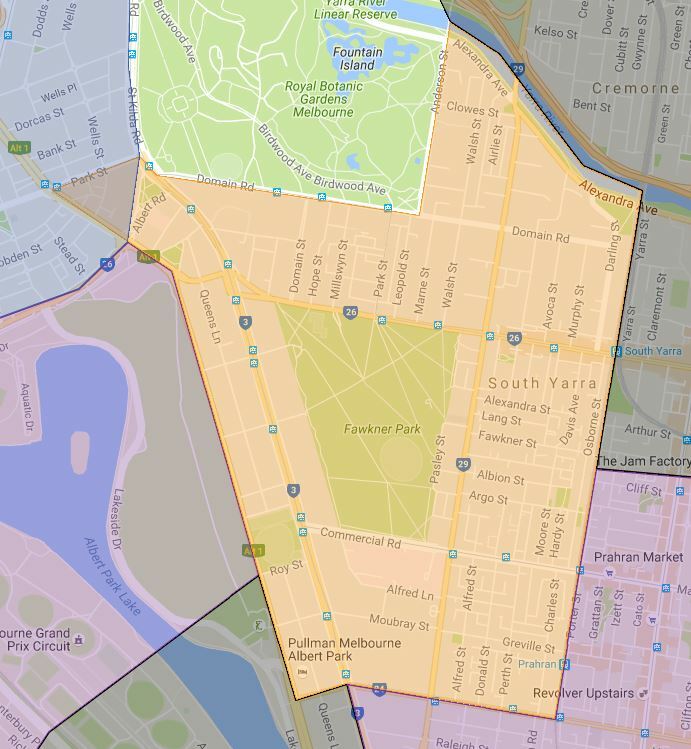 This is the designated neighborhood zone for South Yarra Primary School in Melbourne, Victoria. This is the designated neighbourhood zone for Dallas Brooks Community Primary School in Melbourne, Victoria. You can search for a particular school or address in the search box in the top right-hand corner of the embedded map or zoom into an area of interest on the map. This is the designated neighbourhood zone for Frankston East Primary School in Melbourne, Victoria. You can search for a particular school or address in the search box in the top right-hand corner of the embedded map or zoom into an area of interest on the map. This is the designated neighbourhood zone for Pascoe Vale Primary School in Melbourne, Victoria. You can search for a particular school or address in the search box in the top right-hand corner of the embedded map or zoom into an area of interest on the map. This is the designated neighbourhood zone for Beverley Hills Primary School in Melbourne, Victoria. You can search for a particular school or address in the search box in the top right-hand corner of the embedded map or zoom into an area of interest on the map. This is the designated neighbourhood zone for Vermont Primary School in Melbourne, Victoria. You can search for a particular school or address in the search box in the top right-hand corner of the embedded map or zoom into an area of interest on the map.